IS there anything different about the current warming compared to previous warmings? Logically, only after we answer yes to that question, can we go looking for a cause different than the cause of the previous warming. As C3Headlines shows below, using official British government data from its Met Office, the current warming is indistinguishable from the warming 100 years ago! 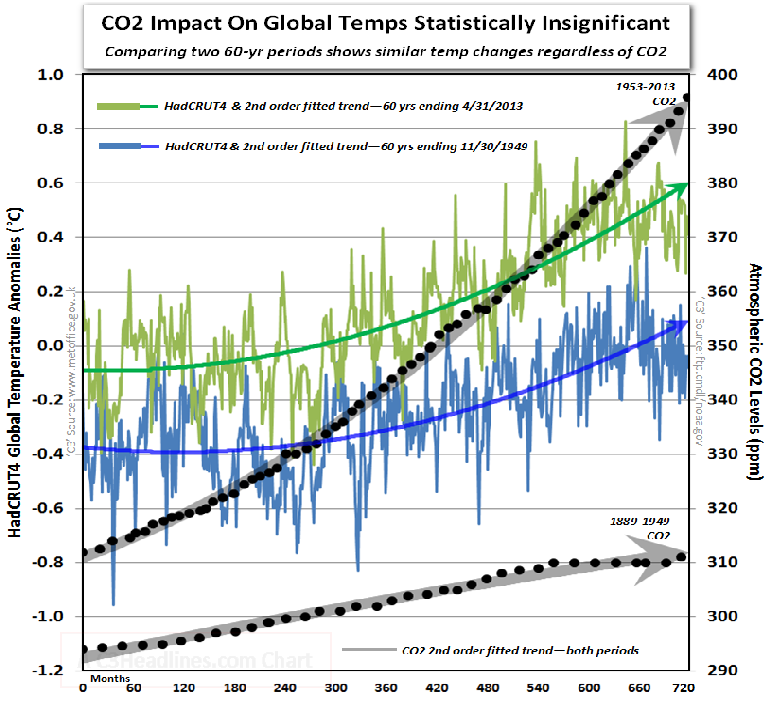 Global warming modern 60 year vs previous 60 years Hadcrut co2Recently, the UK's MetOffice was forced to admit to Parliament that global warming since the 1850's has not been statistically significant - read here, here and here.